The Alvarado Real Estate Group will again be a proud sponsor of this year's Orton Park Festival August 22 - 25 in Orton Park. 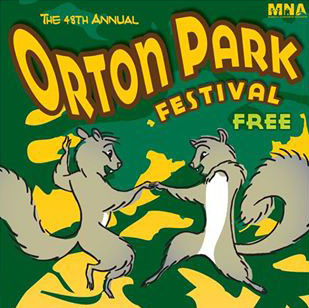 The 48th annual Orton Park Festival will again be hosted by the Marquette Neighborhood Association. The festivities begin with Family Night on Thursday featuring kid's activities and a family oriented performance by the Cycropia Aerial Dance Team. The rest of the weekend is going to be filled with a variety of musical performances, so don't forget to wear your dancing shoes! 7:45 - Cycropia Aerial Dance "Circus Quercus"
8:30 - Cycropia Aerial Dance "Circus Quercus"